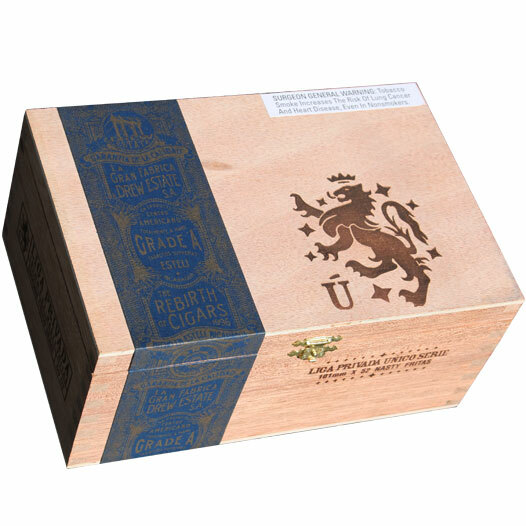 Buy Liga Privada Nasty Fritas Cigars Online! Nearly six years after the notorious Liga Privada Papas Fritas first graced humidor shelves, Drew Estate has followed up with the cigar's diabolical sibling, lovingly titled "Nasty Fritas." Liga Privada Único Serie Nasty Fritas was created alongside the original Papas Fritas cigar, but the blend has traditionally only been available to Cigar Safari guests and other visitors to Drew Estate's factory in Estelí. As Papas Fritas was named for the Spanish term for french fries (due to the tasty, snack-sized nature of the cigar), Nasty Fritas is essentially Jonathan Drew's (President and Founder of Drew Estate) maniacal twist on the blend. According to Drew, "[...] I was telling a group at Safari about Nacatahuevos, which is my creation of Nacatamale with 2 over easy eggs on top. The group was like that’s the Esteliano version of getting nasty on some French fries. We’ve been enjoying it mostly at Cigar Safari in Nicaragua, but its time to get mega nasty with our homies." Like Papas Fritas, the Único Serie Nasty Fritas is crafted from the premium scraps of Liga Privada No. 9 and T52 cigars (perhaps the most choice "scraps" you'll ever find). The blend features a Connecticut Broadleaf Oscuro wrapper, plantation-grown Brazilian Mata Fina binder, and mixed fillers of Nicaragua and Honduras. But the biggest difference between Papas Fritas and Nasty Fritas is the size, with Nasty Fritas boasting an exaggerated, conical appearance. The cigar begins at a 52 ring gauge, tapering down the entire length, resembling a cone. The final product features a beautiful pigtail cap and covered foot, giving this scrappy little smoke more than enough swag to stand out in any humidor to be enriched with its presence! Liga Privada Único Serie Nasty Fritas offers a medium-plus body, focusing on big flavors of charred oak, toasted marshmallows, chocolate, zesty spices, and a unique camp-fire-like aroma.